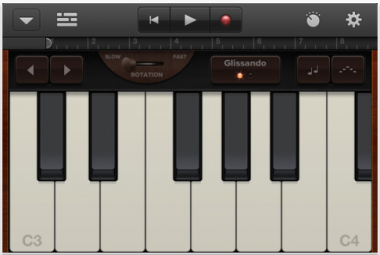 After already bringing GarageBand to the iPad, Apple said on Tuesday that it is bringing its music creation app to the iPhone and iPod touch. The app will work on iPhones from the iPhone 3GS on forward as well as the third- and fourth-generation iPod touch. It’s free to those who have the iPad app and $4.99 for new purchases. Among its features, the program will let users plug an electric guitar into their iPhone or iPod touch, or record voice and other acoustic sound via the device’s built-in mic.